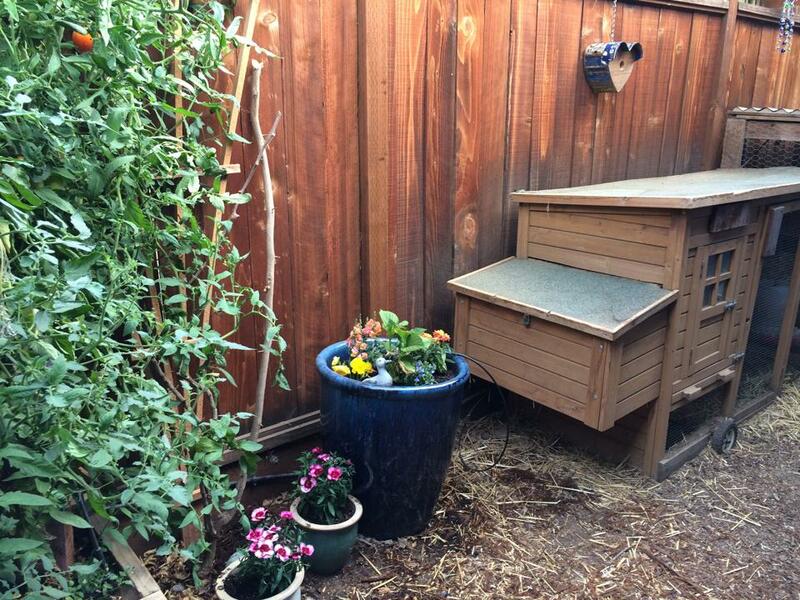 Description : store bought coop extended to provide a protected haven for four chickens in the side yard walkway. What is unique about your coops/gardens, etc : We customized a store bought coop to provide additional, protected space. 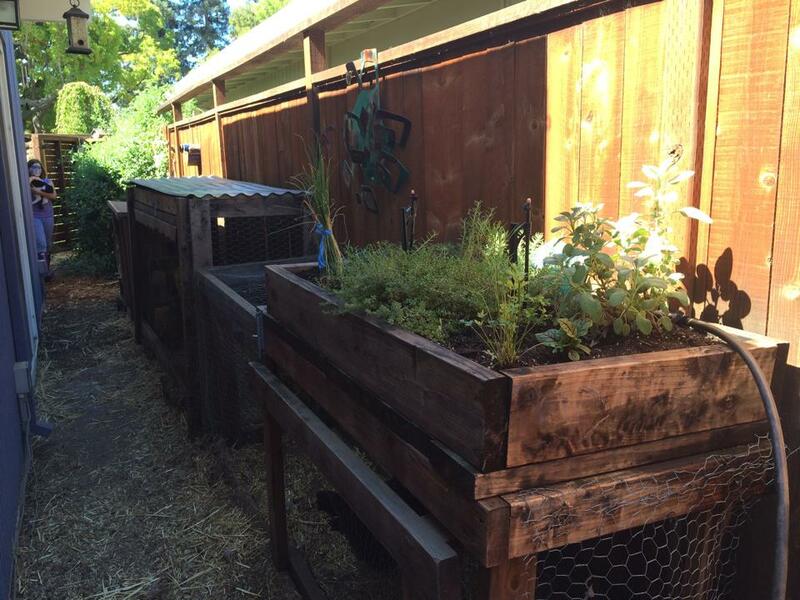 We then continued to improve the side yard walk area to include a vegetable garden, garden art, and an herb garden on top of the coop.